Have you ever taken a long car trip and ended up with an aching back? Or sat at your office chair for several hours, and spent the rest of the day paying for it? I have experienced both of these more times than I can remember; I take a lot of road trips, and between blogging and my part-time computer job, I'm in a chair a lot. Well, I just discovered a product that will make these scenarios much more comfortable! BodyRyzm sent me the Jazz RX, a one-of-a-kind back support cushion. The Jazz RX is the only customizable back support I know of. It appears, at first glance, to just be a thin cushion. However, unzip the bottom, and you'll see the air sac, with a small valve. Simply inflate the sac with 2-3 breaths of air, and you're good to go! If that's too much or too little for you, you can fill or deflate the cushion to whatever feels best for your comfort. It is truly amazing! I am actually getting ready to make a 1,500+ mile round trip next week, so I am really looking forward to using the Jazz RX. Just using it in the car for short trips and at my computer desk has been an immense relief though. It actually encourage proper posture which is a benefit in itself, but it prevents so many aches and pains! Another great aspect of the Jazz RX is that it is completely portable. You can easily deflate and fold the cushion, and take it anywhere. That means on a plane, in a wheelchair, at school or the office, or even on a bus! One of my readers will receive a Jazz RX!! I am a Tervis fan. If I could get away with it, I would use only Tervis cups and bottles in the house-unfortunately, some of the family have their own "favorite cups" that they don't want me to dispose of. :) For my personal use though, I pretty much only use Tervis. The cups are so well made, and they last forever! I have a set that is at least 6 years old, and they still look as good now as when I first got them. Not to mention the double-wall insulation that keeps your drinks hot or cold! Tervis sent me the Goldfish Water Bottle for review. This is a 24 ounce bottle with the signature Tervis double-wall insulation, and a fun design. The goldfish appear to be swimming around the bottle, and it also has some blue rocks at the bottom that add a pop of color. I love how bright and fun the design is! Having this fun water bottle makes it easy to get all the water I need each day. 3 bottles per day and I know I've had the recommended amount! And with the "ring" on the lid, it's great to clip a carabiner on and hook it to my backpack, purse, etc. The bottle also easily fits into the car cup-holders, unlike many water bottles I've used in the past. The lid pops up for drinking, and then securely closes so you don't have to worry about any spills. My thoughts on the Tervis water bottle? If you're going to invest in a bottle, make it worthwhile-make it a Tervis!! Tervis is giving one of my readers a Goldfish Water Bottle!! A short time ago while browsing the web for online apparel stores, I discovered Caralase. A place that specializes in clothing that makes women feel fashionable yet comfortable. When I read the story behind Caralase, I knew I would enjoy shopping here. "Caralase, from the Greek word Charis, meaning “grace,” is a dream fulfilled. Started by a wife and mother of two, this online retail store aspires to be a model of grace in an otherwise impersonal, profit-based, business-centric fashion industry. We are committed to providing quality garments at affordable prices, focusing on fashionable and easy apparel that we believe all women deserve to have. Our name serves as a steady reminder of the grace with which we strive to exist." I received the Crochet Ruffle Maxi Dress in Coral for review from Caralase. This is not just your basic maxi dress! Yes, it still has that maxi comfort and easy-wear appeal, but it's been stepped up a bit for more of a fashion statement. The neckline of the dress features beautiful crochet work, that adds a touch of glamor to a dress you previously thought of as basic, casual, and definitely not dressy! It doesn't stop there though; the elastic ruched waistband adds yet another piece of elegance. And finally, the ruffled tier that starts about mid-shin is the finishing touch! You'll never think "maxi dress" in the same way again! You can literally throw this on as-is, and you have a perfectly elegant, yet comfortable outfit. You can pair it with just about anything and it will look good. M decided to try it out with one of her blazers, and the effect was beautiful. The coral pink gave her outfit a nice bold pop of color, while the blazer toned it down a bit for that business air. Caralase offers women's apparel and accessories at very reasonable prices, so if you're looking to upgrade your wardrobe, check them out today! 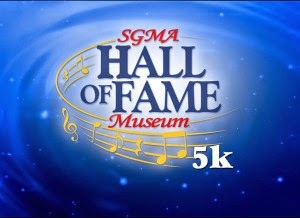 Today marks the last full week of training before the SGMA 5K. Next week we will be traveling, and obviously we'll still get some extra preparation runs in, but not as long and hard as I've been training the past few weeks! I am very thankful for the cooler weather we finally have, as it makes training outside so much nicer! Now I just come back from running very sweaty, instead of literally dripping sweat wherever I step-yes, it really was that bad for a couple weeks! First of all, a "new" item I'm using in training this week is my new Tervis Tumbler Water Bottle. I have been a fan of Tervis ever since my first experience with their cups about 7 years ago, and when I discovered they had water bottles, I knew it would be a good one! 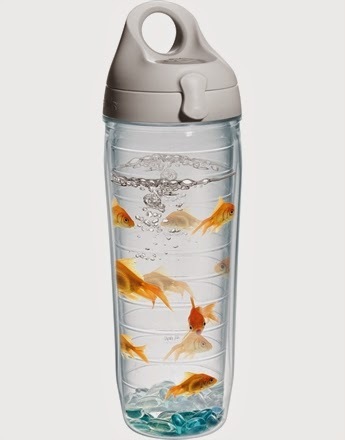 Of course, I also love the fun designs they offer; for example, mine has goldfish swimming around the bottle. Very bright and fun! (I will be posting a full review and giveaway with a Tervis Water Bottle later this week, so be watching). Anyways, the Tervis bottle is sturdy, holds 24 ounces of water, and has a handy flip-top for easy drinking. I also added a new piece of clothing to my running outfit-compression socks. 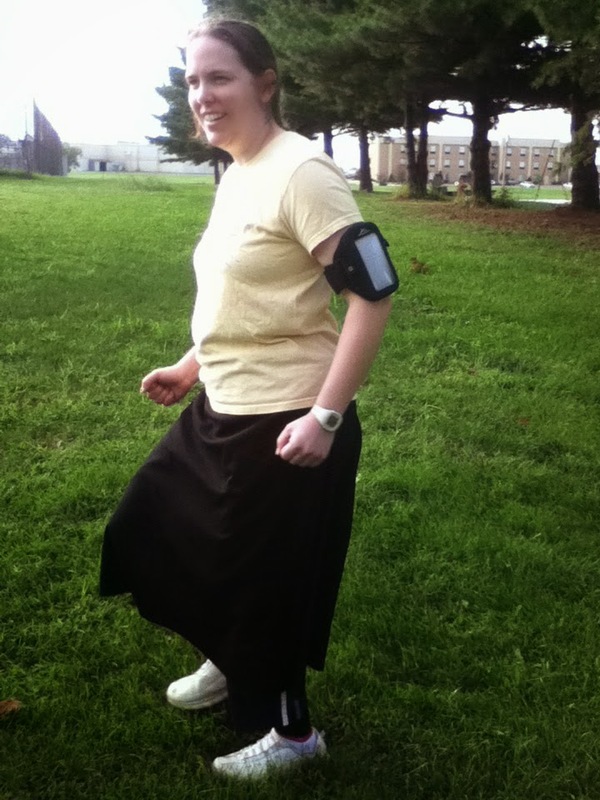 I use a compression sleeve for my ankle, but during the first week of training for the 5K, my shins were super-sore. I found a pair of compression socks the next week, and have been using them ever since-with great results! If you ever wonder, "Do those things really work?" Yes, they do! Of course one necessity for my workouts is some music, which I love being able to bring along thanks to the ArmPocket. I failed to mention last week that the i-15 has audio jack ports strategically placed so that no matter what device you're carrying, you'll be able to plug in a pair of headphones. I also love the little attachment on the side that allows you to stash your earbuds when you're not listening to music, or even take up the slack in your cord while running. It's perfect! "In our world of multitasking, everyone could use a hand. TrailHoppers are a simple solution to keep them toasty down to their little toes. This will allow you to easily walk your dog, carry your diaper bag, or push their sibling on a swing." I received the Frost Blue TrailHopper for review. First impression, I was amazed-at how simple yet ingenious this is! How has no one invented one of these until now?! It's basically a fleece (manufactured in the USA) blanket armholes and legs. It's a little generous in the sizing, so they can wear it over a onesie or regular outfit. The TrailHopper features reversible toe-flaps, so if it's warm enough, or your little one has shoes on, you can let their feet "go free". But, if it's too cold, simply fold the flaps over their feet. Each TrailHopper also comes with a little sack that you can stuff the TrailHopper in when not in use, or use it as a snack bag while you're on-the-go. The TrailHopper is honestly a must-have for any baby/toddler! It is perfect for so many occasions: hiking, biking, or any other outdoor activity. It's also great to keep baby warm during the cooler months, even when you're just running errands and going in and out of the cold. 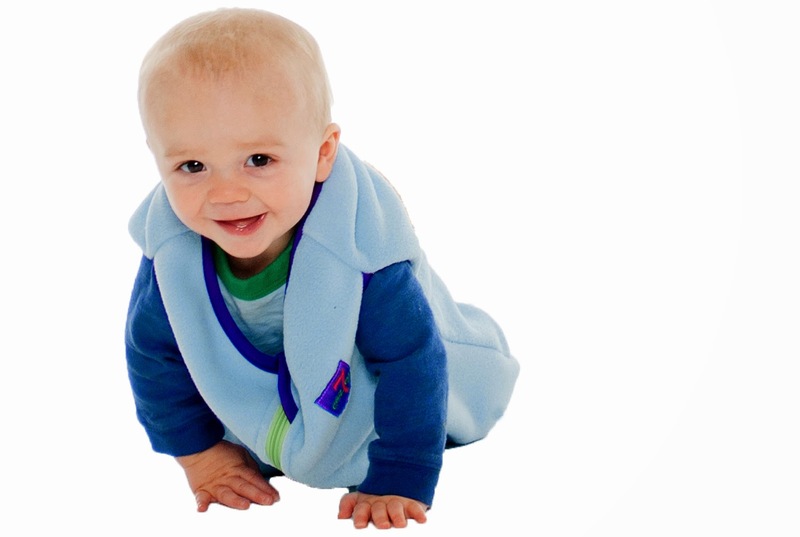 TrailHoppers are available for up to 2T, so your child can enjoy the warmth of their "performance blanket" while they're outside playing. There's no other way I've ever seen that allows you to keep a baby snugly wrapped in a blanket, yet be able to do so much! One of our readers will receive a TrailHopper in their choice of color and size!! Door County Coffee graciously sent me their 12 Pack Fall Coffee Set. This comes with: 2-Pumpkin Spice, 2-Cranberry Creme, 2-Harvest Blend, 2-Autumn Spice, 2-Door County Maple, 1-Caramel Apple, and 1-Apple Cobbler. The day the coffees arrived, I (of course) had to try one out. The first flavor I chose was the Caramel Apple, but all of the flavors sounded great so it was a hard call. Caramel Apple coffee has a very unique taste; definitely fruity, but also with a nice caramel taste. I really liked it, which made me excited about trying the rest. My second choice (the next day) was the Pumpkin Spice-and that's where my coffee tasting about stopped. No, it wasn't that bad. The reason I almost stopped trying the other flavors, is because I like the Pumpkin Spice so much! It's honestly not a flavor I would have imagined myself really enjoying, but I do! Imagine pumpkin pie in a cup, with a nice dash of coffee added, and that's what this is. I have been enjoying mine iced right now, but I imagine this will taste amazing hot as well-once our weather finally gets the memo about it being autumn! I did finally make myself move on to other flavors; the Autumn Spice is a close second. This one has a hint of cinnamon-sugar, almost like a Snickerdoodle flavor. Out of all 7 flavors, I actually like them all, even though none are quite as much a favorite as the Pumpkin Spice. :) This one is definitely going on my holiday wish list, because a few 5-pound bags wouldn't hurt my feelings at all on Christmas!! Door County Coffee not only sells various flavored coffees, they also have regular coffee, K-Cups, gift sets, and an assortment of teas. I would highly recommend you check out their coffee if you want to try some incredible flavors. 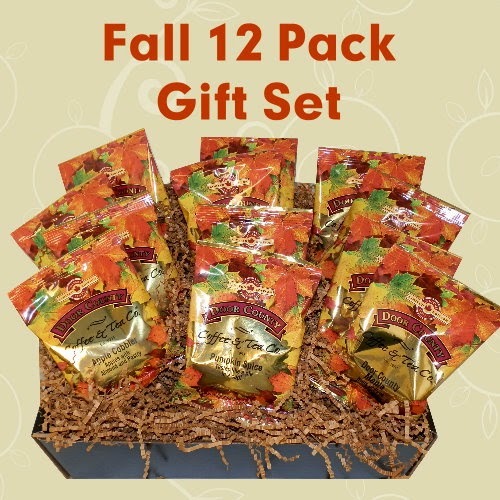 And to get one of my readers acquainted with Door County's fall flavors, we're doing a giveaway!! As I told you all last week, we will be heading to the Smoky Mountains in a couple weeks for a vacation/blog trip. I am super, super excited about the trip for many reasons, and one of them is that I will be participating in a 5K Run-my first ever! I found a training schedule online and have spent the last 2 weeks following that. It's coming along very well, and I'm actually looking forward to the run! I have had a couple companies jump in and help out with my training, but sending product for review. The first product I received is an ArmPocket. 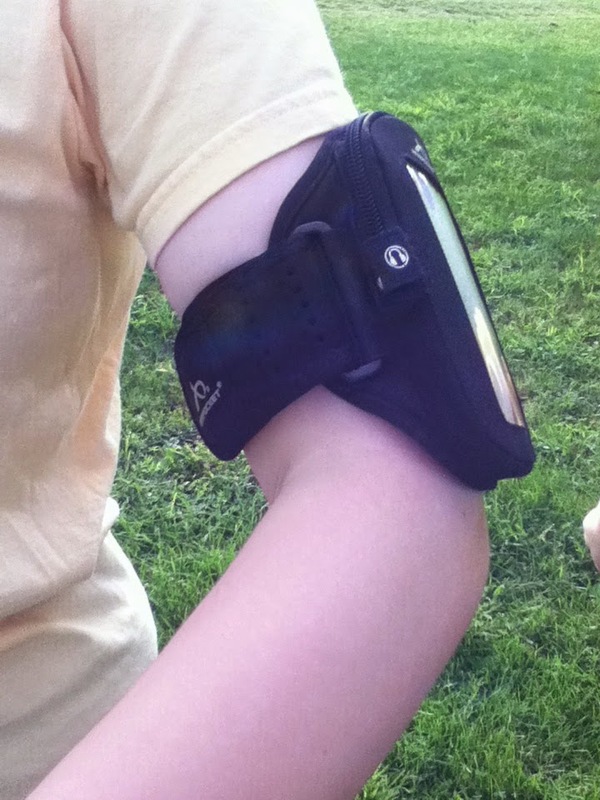 This is just like it sounds; an armband that allows you to carry items while running. I received the i-15, which is designed for iPod Touch with a slim case on, or a device of similar size. 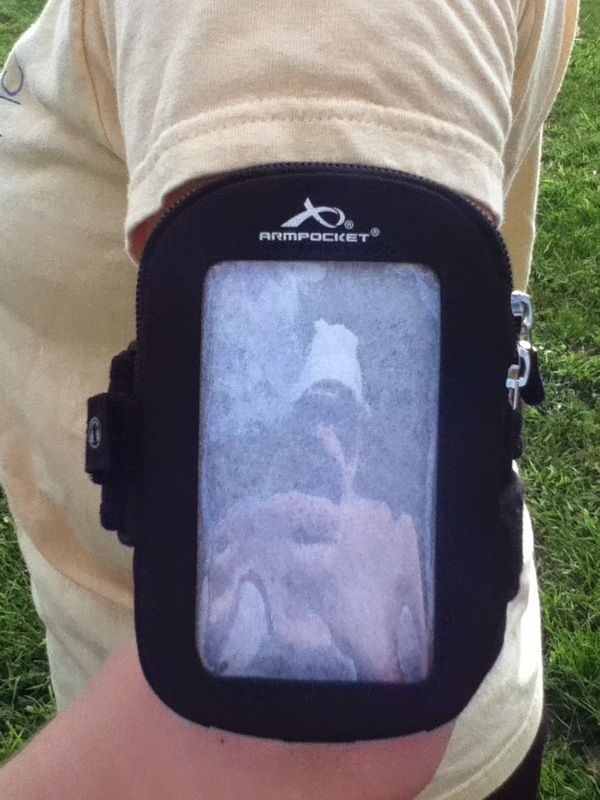 I've used armband phone/iPod carriers before, but this is definitely the luxury model of armbands! 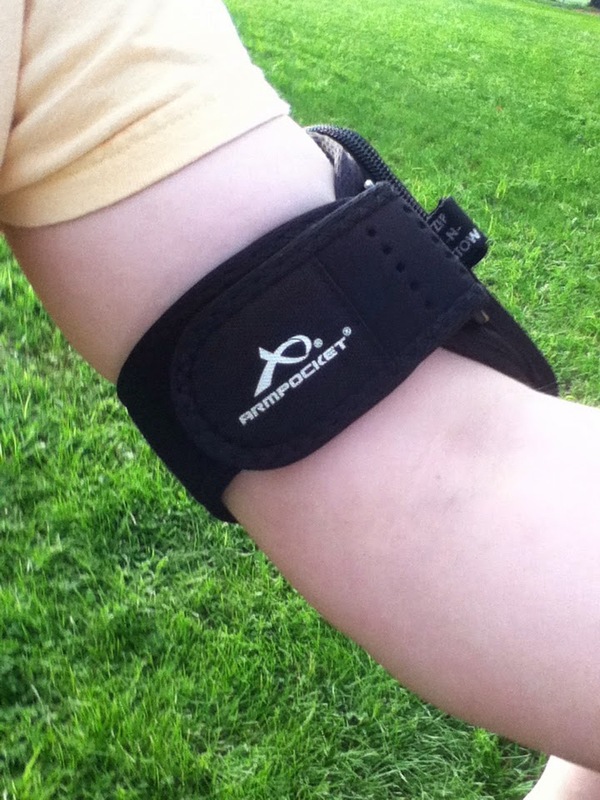 The ArmPocket has memory foam padding, which ensures that it doesn't rub or irritate. The actual strap is vented, and the case, in addition to the memory foam, is also wicking-so you can run and literally not feel any discomfort while wearing an ArmPocket! I also like that the ArmPocket isn't just for your iPod/device; there are 2 pockets inside the zippered compartment that are perfect for holding cash, cards, driver's license, etc. I love being able to listen to my music while running, and also carry some cash to buy a nice cold water at the end of my training! Yes, I know there's no iPod-we used it to take the pictures! 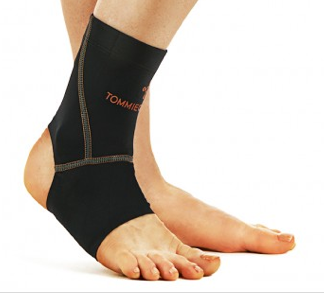 Another product I'm using a lot for training is an Ankle Compression Sleeve from Tommie Copper. As you may remember, I reviewed these some time back, and now that I've started running, it is a must-have piece of my gear. The first couple days of training I was really feeling it in my legs, especially the left ankle. However, by wearing the compression sleeve, it reduces the fatigue, and helps prevent injury. These are just a couple items I'm using daily in my training; check back next Monday for news about how the training is going, and to see some more running products! After-School Snacks Made Easy With DoubleTree Cookie Dough!! How many of you have ever stayed at a DoubleTree by Hilton? I have many times, and one of my favorite parts? The chocolate chip cookie each guest receives at check-in!! I was honestly excited when I found out that DoubleTree is now offering their signature chocolate chip cookie dough for online orders! The dough is shipped frozen, and a 6-pound container will make approximately 42 (large) cookies. 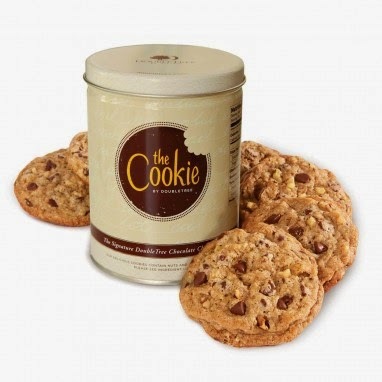 I wasn't able to actually try the cookie dough, but DoubleTree did send me a tin of 6 ready-to-eat cookies. The cookies arrived just as we were heading out for a small road trip, so they were a welcome addition for us all! I love that the cookies include walnuts as well; chocolate chip and walnut are my favorite combination for cookies. I was surprised to find out that each cookie weighs 2 ounces, and contains about 20 chocolate chips! Yep, they're loaded with yummy goodness! The cookies didn't last long; every crumb was quickly scarfed down. The only evidence left of our experience with the Cookie from DoubleTree is the tin they arrived in! I'm not normally a huge fan of pre-made doughs and mixes; I prefer to bake from scratch. However, I must admit I am a fan of being able to purchase DoubleTree's cookie dough to make at home! This is perfect for quick and easy-yet definitely delicious-snacks after school, in between appointments, or anytime you feel like indulging! If you're interested in purchasing some DoubleTree Cookie Dough or ready-made cookies, visit The Cookie website today! I promise, you will fall in love with these cookies!! I love milk. Ever since I was a young child, I have enjoyed nothing more than a glass of ice cold milk to go along with breakfast, dinner, snacks, and any other possible occasion. However, when my brother was younger (early teens) he became lactose intolerant, which made for some rather stressful times. What teenage boy wants to find out he can't eat ice cream? Or have a cup of chocolate milk? If he wants to enjoy a yogurt, then he'll have to deal with a stomach ache soon after. Needless to say, we all (and especially he) were very thankful when after a couple years the intolerance seemed to go away, and he is now able to enjoy dairy products again. Unfortunately the options back then for dairy-free products were very limited, and not like they are today. For example, So Delicious Dairy Free is a company that specializes solely in dairy free products of all kinds. I was able to try one of the So Delicious Coconut Milk Frozen Desserts, which is basically an ice cream "substitute". I use the word substitute loosely, because it's not one of those "I can't have the real thing, so this is the best I can come up with." Even though I don't like coconut, I found the frozen dessert very tasty! I had the chocolate, and it is so creamy and smooth! It's almost more like frozen custard than ice cream, because of the texture and consistency. The chocolate flavor was perfect, and not at all like the fake diet chocolate products we've probably all experienced! I could honestly enjoy a helping of the So Delicious Frozen Desserts with regular ice cream toppings, instead of my normal rocky road or cookie dough ice cream. So Delicious offers much more than just ice cream alternatives; whether you or a family member is lactose intolerant, or you're just looking for dairy free options, you will want to check out their beverages, creamers, and selection of almond and coconut milks. Oh, and they also have specialty frozen desserts that are the dairy-free equivalent of ice cream sandwiches, fudge bars, and ice cream bars! Dairy-Free Item of their choice! !